OpenBazaar is a different way to do online commerce. It’s a peer to peer application that doesn’t require middlemen, which means no fees & no restrictions. OpenBazaar connects people directly via a peer to peer network. Data is distributed across the network instead of storing it in a central database. It isn’t a company nor an organization; it’s free open source software. It was built to provide everyone with the ability to buy and sell freely ? Nobody has control over OpenBazaar. Each user contributes to the network equally and is in control of their own store and private data. Pay with 50+ cryptocurrencies on OpenBazaar: Bitcoin, Ethereum, Litecoin, Zcash, Dash, etc. Seller receives payment in Bitcoin, Bitcoin Cash or Zcash. Their choice. OpenBazaar is also a platform with 1 apps listed on AlternativeTo. Browse all 1 apps for OpenBazaar. OpenBazaar was added by Darf_ in Nov 2014 and the latest update was made in Jan 2019. The list of alternatives was updated Mar 2019 There is a history of all activites on OpenBazaar in our Activity Log. It's possible to update the information on OpenBazaar or report it as discontinued, duplicated or spam. Lauge is a full buyer side eBay solution for Windows. No ads, no clutter, simply eBay in its pure form. World's largest Bitcoin marketplace and auction site. Buy online with Bitcoin securely using our secured escrow service with up to 30 days buyer protection. 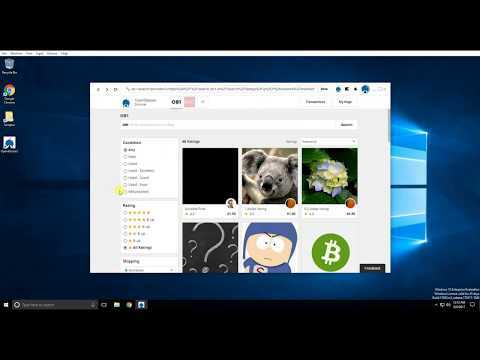 Alternatives to OpenBazaar for Web, iPhone, iPad, Android, Android Tablet and more. Filter by license to discover only free or Open Source alternatives. This list contains a total of 25+ apps similar to OpenBazaar. Great and easy to use marketplace without middleman. Free the Market!!!!! Maybe you want to be the first to submit a comment about OpenBazaar? Just click the button up to your right!